Don't buy things just because they are cheap or you got a deal. Most of the stuff you buy is imported, so try to consume less and only purchase what you really want and need. Buy American if you can and if you can't, keep trying. Buy Less Stuff! Buy American if you can and if you can't, keep trying. Every time. Ask questions about products. Let stores and brands know you care about who is making the products you buy. Teach your children to read the labels. You will start to learn the best places to shop and you'll get to know the companies still manufacturing in the US. Let stores and brands know you care about who is making the products you buy. 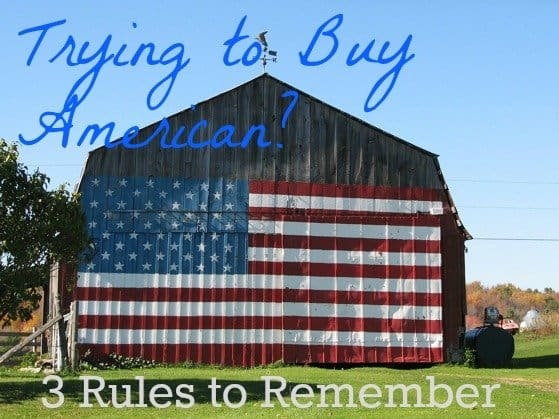 3) Commit to buying American when you can. Gifts are a great opportunity to always buy American because you have a lot of choices. Pet products is a category where you have plenty of options. You don't want to take chances with anything you eat or apply to your skin. If you find a brand that is made in the US, be loyal to it. 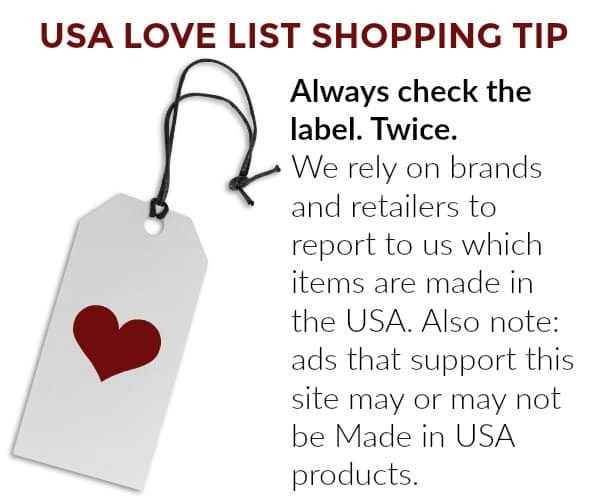 If you find a brand that is #MadeinUSA, be loyal to it. It is unfortunate that it is just so darned hard to find American-made products. We're doing what we can to try and make it easier, but once you start looking, you'll find more and more. THANK YOU for trying. I hope your positive experience encourages others to do the same! 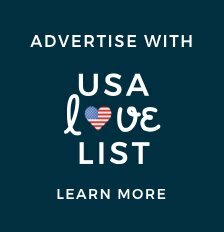 Are you looking for something in particular made in the USA? Post a question on our Facebook Page. Between our readers and our editors, we might know just where to look! Are you constantly on the lookout for cool stuff, Made in the USA? You are not alone. We are obsessed too. 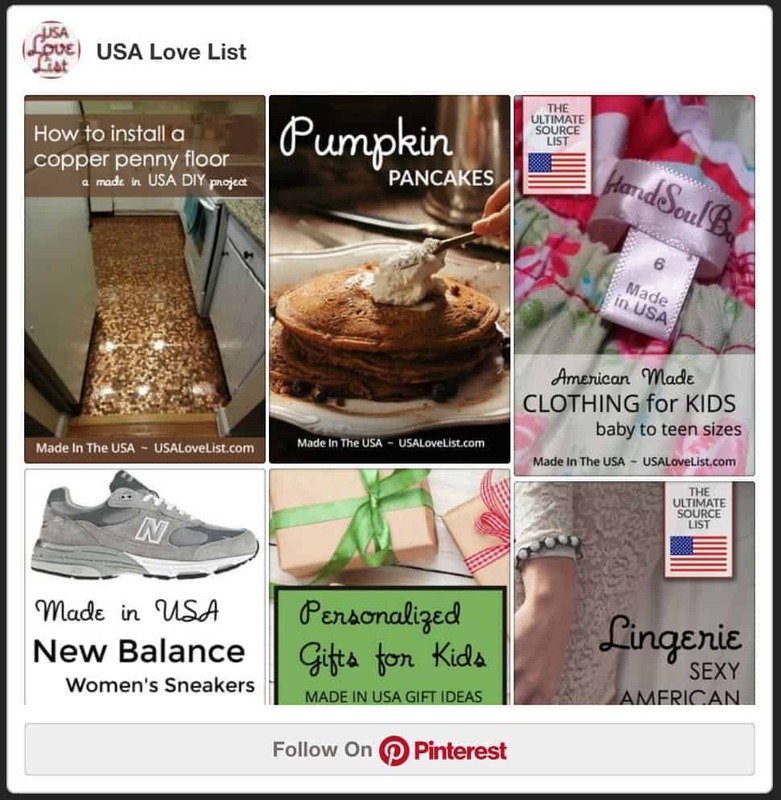 Follow us and tag us on Instagram and Pinterest. You won't believe what we'll find together. 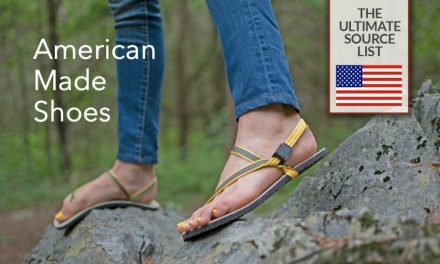 Do you have a favorite brand or source for American Made? Be sure to share it in the comments below! 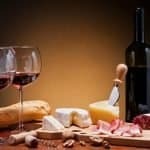 Since the recession hit, I buy a whole lot less “stuff.” And guess what? I don't miss it! My recent post 3 easy ways to wear a chunky sweater this fall — without looking fat! Thank you for addressing the possibility of giving up in frustration. I've felt that way about women's dress shoes lately because it seems like they are never made in the USA. I appreciate the reminder that every purchase matters even if you can't always buy Made in the USA. Thanks for sharing this interesting topic. I really love USA products because I always trust and believe they are made by the good materials….. I usually try to buy to buy and use them as much as I can, especially foods! Thank You for creating this meaningful blog! I love it!!! 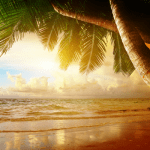 Your first reason really hit home – all of us have so much stuff and really don’t NEED any more! I make my husband throw away at least one thing for every other he wants to buy. I also donate to Goodwill or the Salvation Army at least one thing each week that I don’t need – such a stress reliever to have less stuff around the house! Very nice advice…especially bringing store employees and managers in on the made in America conversation. I often find they haven’t even considered checking how many made in America items they may carry…and unfortunately, the number is usually small. I’ve been trying to buy products made in U.S. for many years now. I’d much rather pay a bit more and know that in my own small way, I’m helping Americans to continue working. I like the quality I can count on from made in U.S. products also. I don’t understand why our government continues to allow products from a country which has poisoned animals on numerous occasions and also uses lead and other toxins that American companies have not been allowed to use for a couple of generations. The sneaky labeling tactics have to go. Certainly buying less stuff is great advice. I must admit, it can be hard to stick to the “buy only American”, but I sure try when I can. Thanks for all you do. As an American producer, we try VERY hard to use only American-made ingredients and packaging. Recently, we found a US-based producer of drinking straws, right here in Florida. Sometimes it takes a bit of effort, and it’s always worth it – Made in American means something to us at DrinKitz, we’re a Veteran-owned business. Hopefully it means something to more and more people every day. It is not sustainable for so much money to be flowing out of this country to China in the long-term, eventually, due to the loss of so much of our industry, Americans will not have any more to spend. 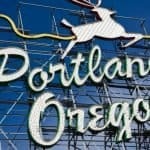 I do feel that large corporations are taking from the U.S. with both hands without re-investing, and the outcome could be very much the same as when American farmers in the 30’s kept taking from the soil without resting or fertilizing it, until they created a huge “dustbowl,” that they had to flee from. As for the situation today, however, manufacturers will merely flee to a market in some other part of the world. All of the big-name American purse manufacturers now make their bags in China. Interestingly, many of them will list “imported” as one of the features of their bags – I’ve informally polled people as to what they think this means, and everyone thinks it means the bags are imported from Italy. However, they are actually imported from China, along with almost everything else we find in our houses today – clothes, electronics, appliances, dishes, etc. One of the saddest things to me is the widespread importation of pet products – the Chinese are notoriously cruel to the dogs they raise for food, thinking that the chemicals released in the blood as a result of fear makes the meat better. And yet the U.S. supports this country by investing so much money in the manufacturing of pet brushes, collars, coats, etc. If you can’t find or afford new items that are made in the U.S.A., consider seeking out and restoring vintage items — perhaps if there is enough demand, some of these companies will consider bringing manufacturing back to this country. Coach purses are an iconic American brand, but the few remaining American factories ceased production in the early 2000s. Every Coach label used to prominently state where the bag was made (they were originally all made in the U.S., then some were made in Italy, Costa Rica, ect.) They no longer do. I seek out Coach bags that were made in the U.S.A. and restore them. The quality of a vintage U.S.A. made Coach is so much higher than what is mass-produced in China today. I’m honestly not a great seamstress, and don’t have a sewing machine, but in order to provide dustbags made of American fabric for the purses, I make them myself from fabric that is 100% manufactured in the U.S.A.
Hopefully, if enough of us support American industry to the extent possible we can make a difference. Also, in reference to my comment above on the importance of buying pet products made in the U.S., I wanted to add that for pet collars, leashes and harnesses I can recommend Lupine – everything is manufactured in New Hampshire. There are many pet product companies that are based in the U.S., but do all of their manufacturing in China, and don’t indicate this on their websites. If I’m not sure, I email them to check. Lupine products are 100% made in the U.S. Our foster dogs wear them. If you have recommendations for other sources of U.S. made pet products, I’d be interested to know about them. Very good tips. I am currently going through my stuff, weeding out what I do not love, do not use, and likely did not need in the first place. I am trying to replace things as they wear out with new things made in America. I have replaced my dishes with Fiesta, my food storage containers with glass ones from Anchor Hocking, towels with those from 1888 Mills, and sheets with those from Veratex. I check the tags when I shop. If tags in clothes say made in Bangladesh, they stay on the rack. If pet products say made in China, I keep shopping. 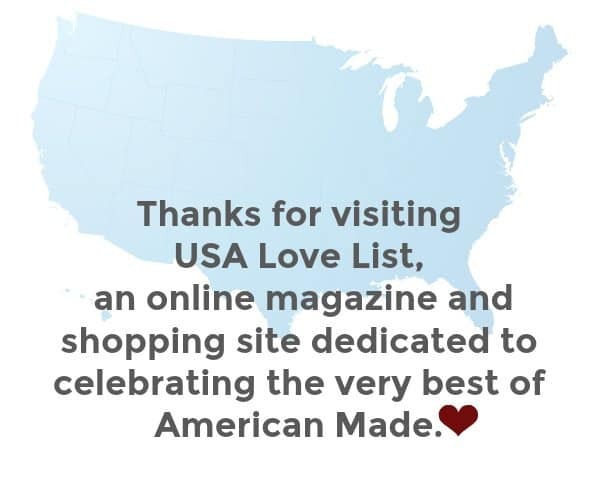 It takes effort to shop made in America, but with the help of a great source list such as the USA love list, I make the effort. Christmas gifts this year will be a high percentage of made in America. I wish it was 100%, but I will do as much as I can. Thank you for this valuable resource! There are certain things I will only buy if they are made in the U.S., like baby foods & skin products. That’s mainly for safety issues. I do try to buy American-made as often as possible, but I admit my fixed income sometimes means I just can’t do that. YEAH MARY KAY ! ! ! Manufactured in America and each Mary Kay Beauty Consultant is a Small Business Owner, if she is successful, she will hire an assistant. Plus, the manufacturing plant is a zero land fill facility . . . PINK doing GREEN ! ! I’ve been thinking this way for awhile. Even with a higher price, I ought to buy less and buy American. I pledge to try harder. Yeah I agree completely! I always shop quality over quantity now! Thank you, great tips!! I am constantly looking at labels and am very conscience of my choices! Thanks for the website, I consider myself the ultimate recycler. But I am still looking for American Made ladies shoes. Any Hints, Anybody?